Now you can order two extra check registers for only $2.96! 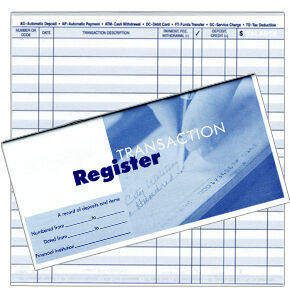 Our standard check register contains a deposit record and 30 full pages. There is also a place to note fees and codes your transactions.